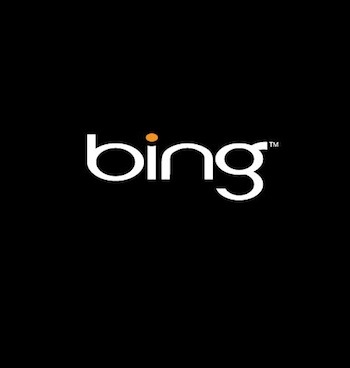 If your a fan of Bing, then you will be happy to hear that there is now a free iPad specific app available. 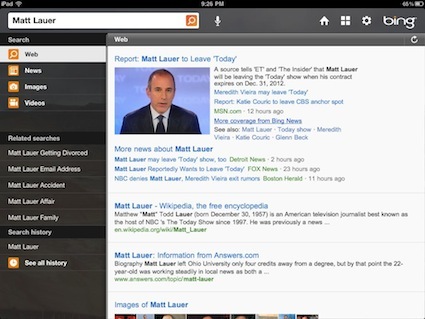 Bing for iPad opens with a general overview screen. You can type in or use audio search through the upper left box. 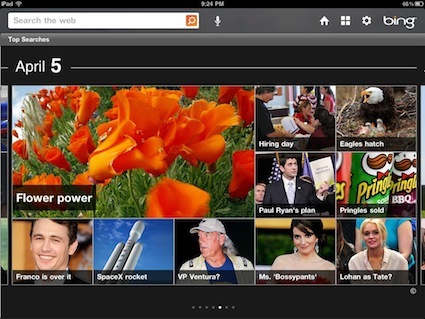 Along the bottom of the screen is the local and latest weather, news, finance, trends and events. 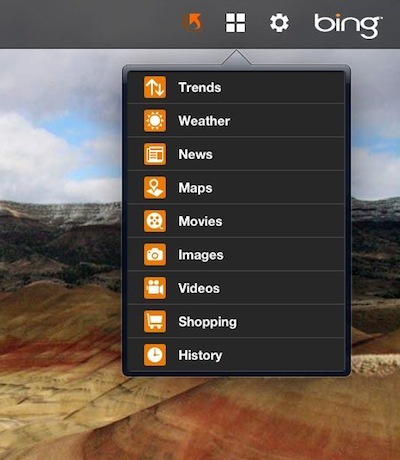 For quick access to the different pre-loaded areas, choose the picker in the upper right corner of any screen. 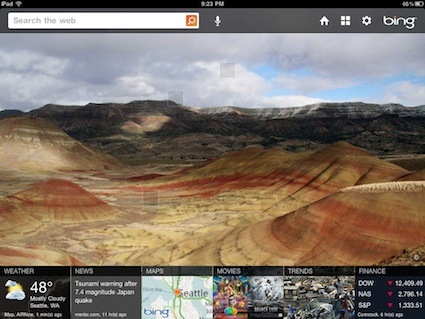 In the Trending News area, Bing presents images and a bit of teaser text. To move from day to day, swipe across the screen left/right. Tapping any story short text or image opens a list of stories available, drill down to the version of the story (different sources) with a tap. Choosing any group results in additional info to narrow your results through the left navigation area. 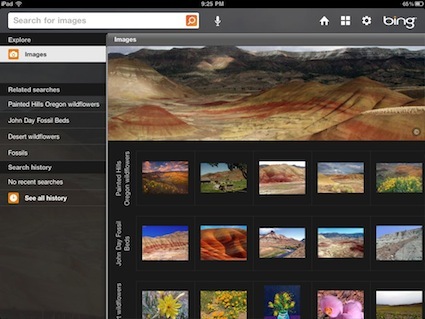 In this example of ‘images’, Bing has pre-grouped to help get to what you are searching for quicker. Many times you just want text, but showing the results as a image gives a visual representation that is easier for most people to know which result to choose.